I had some time to work on the source code for our book during the holidays. This year I have been more busy with other stuff so some of the work needed to keep the source code up to date with newer releases of Camel got a bit neglected. Today I just finished the last bits and pushed to github the changes so we are now fully caught up with the latest Apache Camel 2.23.0 release. You can either use the source code directly from the master branch, or pick one of the releases. 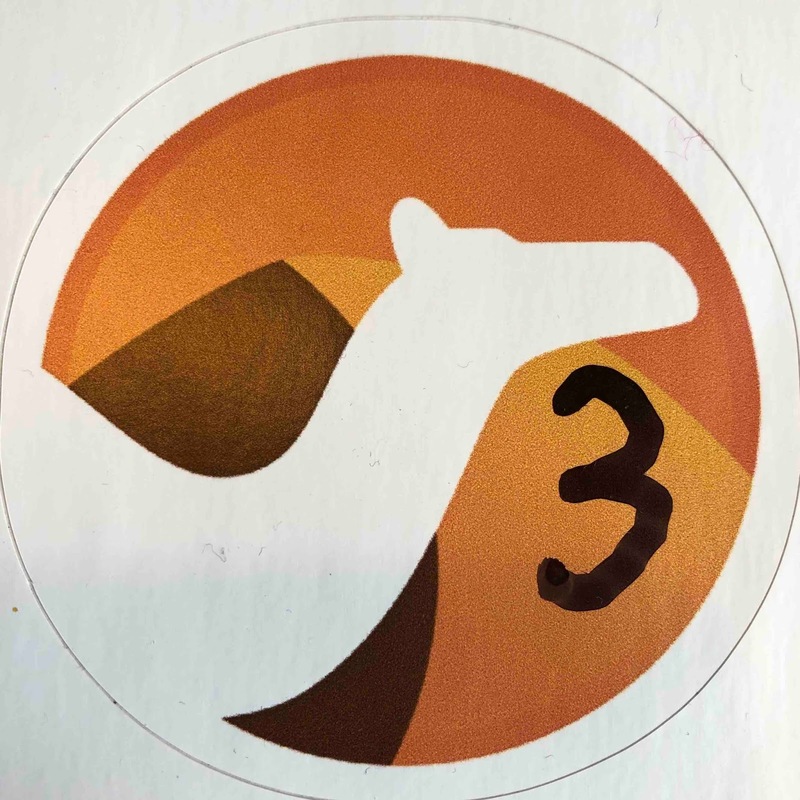 We are starting the work on Apache Camel 3. 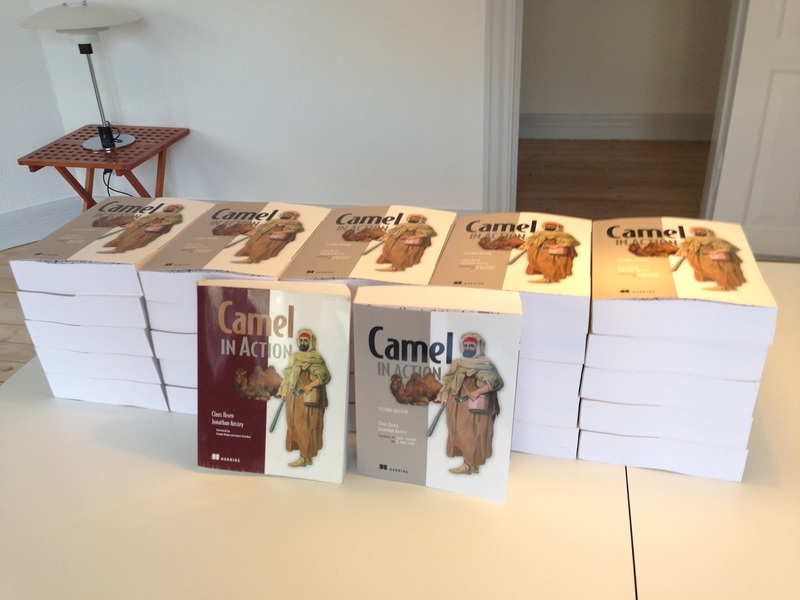 We are working at multiple levels to improve Camel and introduce new features. The first work has actually started by Guillaume Nodet in the start of October, where he jump started by cleaning up the codebase, removed deprecated code and components, improving the routing engine and other internals in the core. His work is published on the sandbox/3.x branch. We plan to use his work as the baseline for the actual Camel 3. Andrea has helped by aligning this branch with all the changes from the master branch (2.x) so its fully up to date. The intention is to switch over the sandbox/3.x branch as the new master branch, so we call can start working on that branch and being able to add new features, components etc. (as always) for Camel 3. For 2.x users we will create a 2.x branch where we plan to do 1 or 2 more last 2.x releases, eg 2.24 and 2.25, before 3.0 is ready and released. Here in the beginning of the Camel 3 work is to continue the work from Guillaume Nodet and finish up the cleanup of the codebase, modularize the camel-core, etc. We invite community users and any Camel committers and developers who has interest to help with the Camel 3 work. We have talked about doing a number of milestone releases of 3.x that can help give feedback to us quicker and faster. For example any Camel users of 2.x can try to upgrade and use the 3.0 milestone releases to report back their findings. Camel 3 is planned to be a time boxed release to avoid it dragging out “forever”, and with a bit of good luck we will have Camel 3 released after the summer 2019. We will keep the community posted on the progress, and as always we love contributions and any feedback you may have. 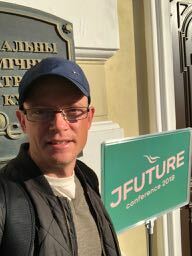 I just got back from Minsk, Belarus where I gave a workshop and a presentation at the JFuture 2018 conference. 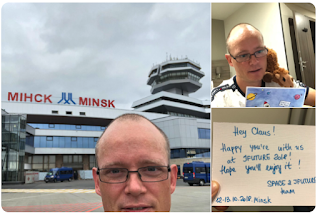 This was my first visit to Belarus, and its always good to see new parts of the world, and help spread the knowledge about our beloved integration software Apache Camel. I am traveling with Mr Camel so at the hotel we read the greeting card from the organisers. 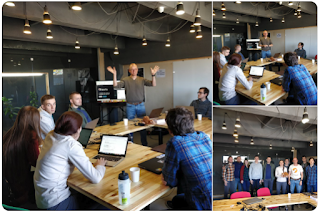 On friday I hosted an Apache Camel microservices workshop with 10 Java developers whom were introduced to Apache Camel and then had fun hacking some Camel microservices code. The material is awesome and much credit to Nicola Ferraro for creating the workshop demo, which we joined presented earlier this year at JBCNConf in Barcelona. 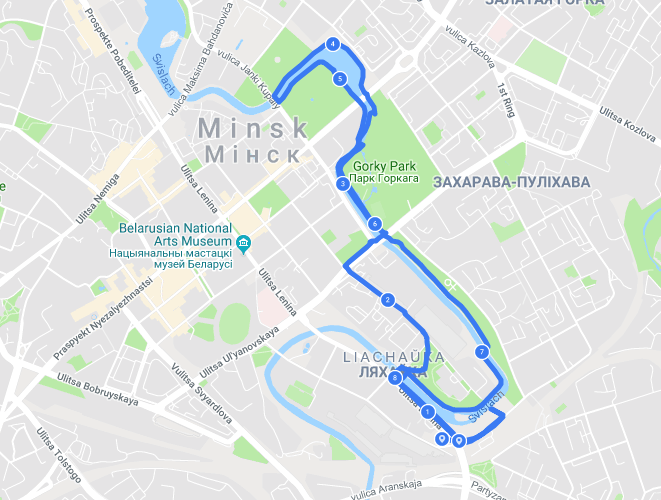 After the workshop I went out for a run in the city, mostly in the lovely parks. The weather was beautify with sun and 15 degrees celcius. 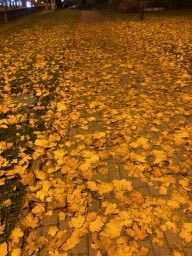 The parks are full of tree leaves as the season is autumn. 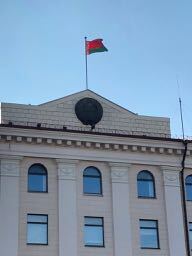 On Saturday it was conference day, and the venue is the royal theatre in Minsk. After they keynote we had the 1st set of tracks, and I was honoured to do my performance on the main stage. I was not the only red hatter, as Justin Lee, traveled all the way from New York to be here, and present about serverless. 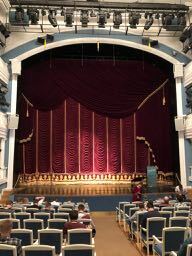 For his presentation I got myself a seat in the balcony, which has a very nice view of the stage. 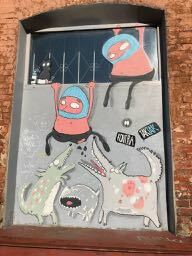 I walked the city on the afternoon, and took some photos. 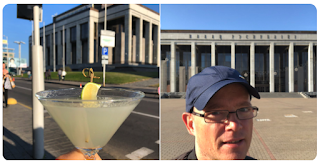 After a couple of hours I found a nice place at the backside of the palace of the republic where I enjoyed a margarita, to celebrate my first visit here. 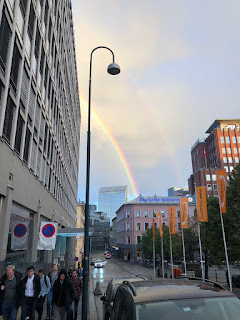 I stayed at the Willing hotel which is located 20 minute walk from the city center. 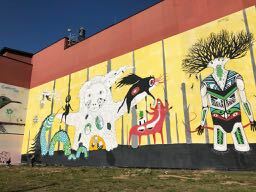 Its in an area with old factories that are now being put up for new use with startups and hipsters in the neighborhood. So there are many coffee shops and some bars. 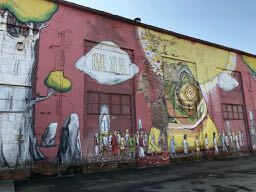 The big walls of these factories were painted by local and foreign artists. I enjoyed my time in Minsk, and I would like to say a warm thanks to the organisers for inviting me to come. I wish you the best with the conference and can recommend it to other speakers. 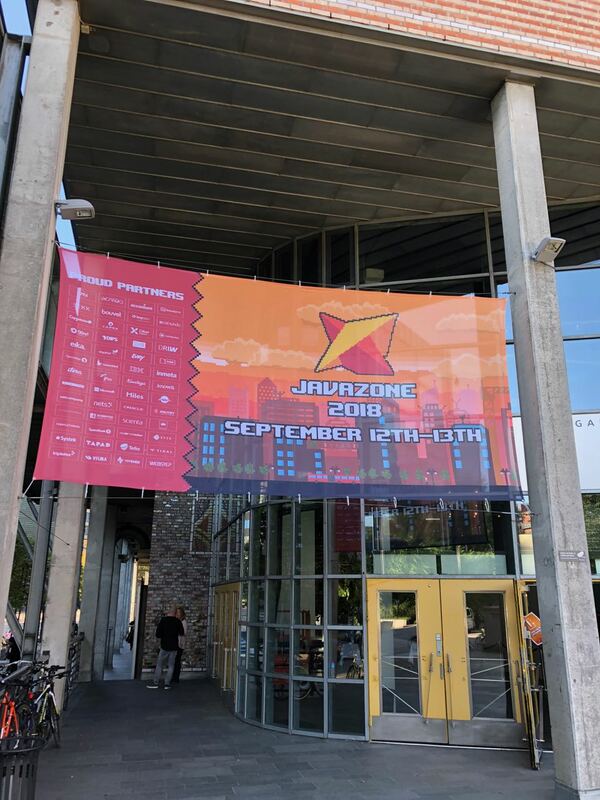 This week I am attending and speaking at the JavaZone 2018 conference in Oslo. I was here last time 7 years ago, so it was good to be back. The weather is very nice with rainbows and unicorns and everything ... well only rainbows. 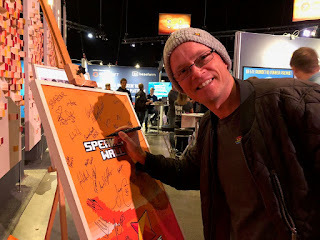 As a speaker I was asked to sign the speakers wall, and was given a woollen hat as gift, which will be handy this weekend where I am joining other speakers for a boat trip JourneyZone in northern Norway at Lofoten. 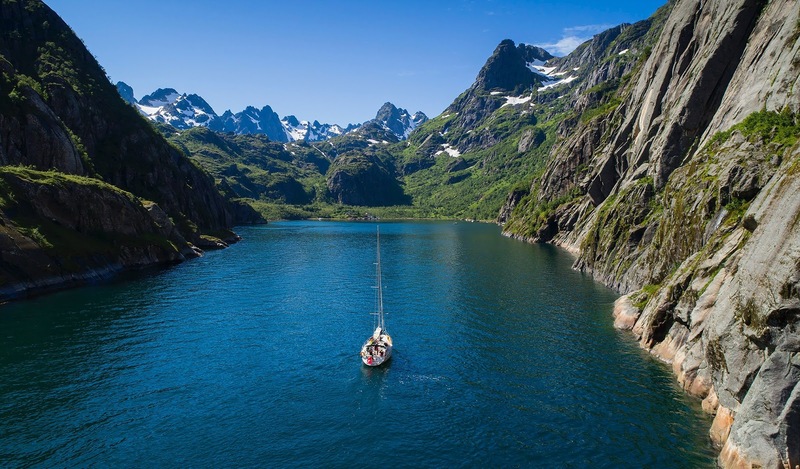 They say the landscape should be spectacular. 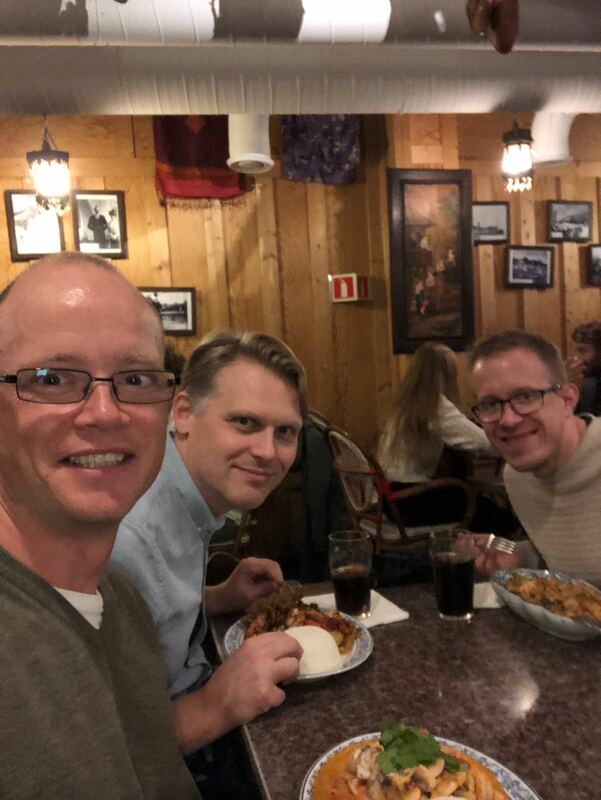 Yesterday evening I was out dining with fellow danish friends Flemming and Anders, whom I know from our little IT-network group called getsmarterdaty. My talk (Camel microservices with Spring Boot and Kubernetes) was yesterday at 5pm and its always special to present here at the Spectrum arena in Oslo, as the rooms have very steep seatings so attendees are mostly looking down upon you. The talk is video recorded and will be posted online soon. The slides and source-code is located on my github account. 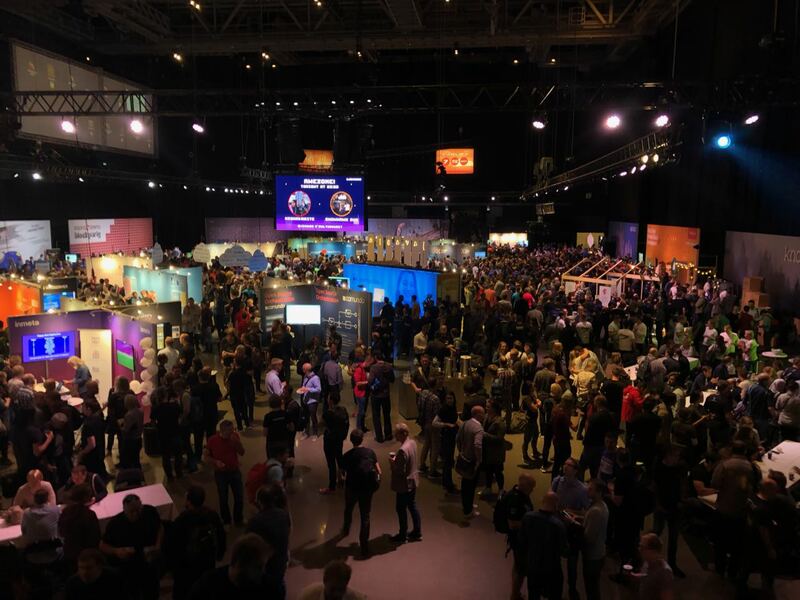 The conference hosts about 3000 attendees and is a very well organized event running for 17 years. 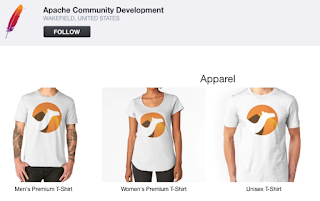 available at the official Apache Software Foundation store at Redbubble. 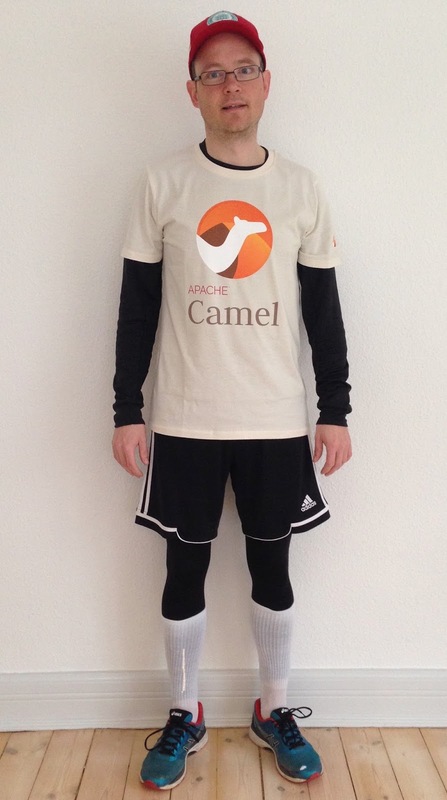 Thanks to Zoran Regvart whom helped us get the Camel swags into the Apache store. 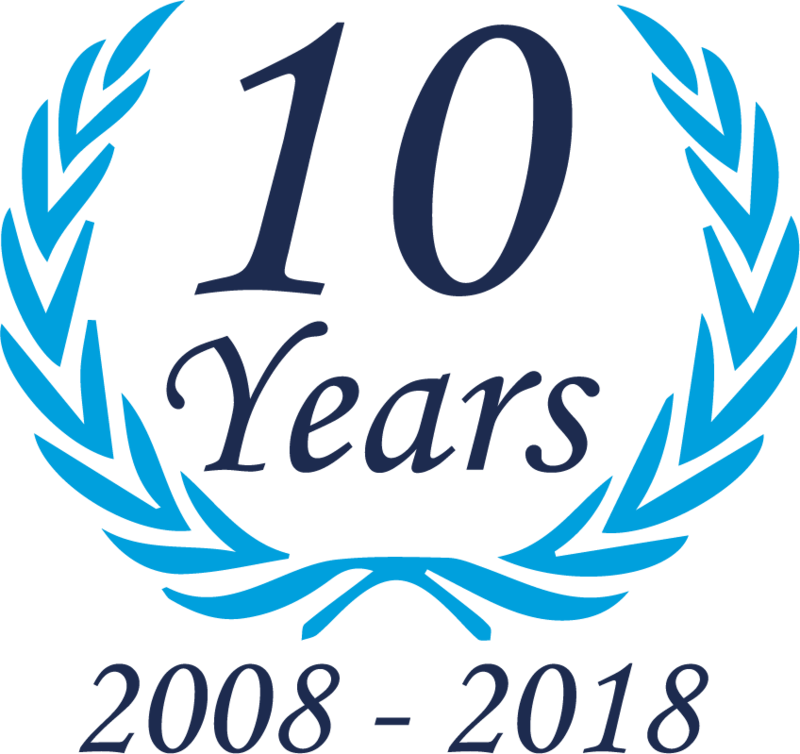 Yesterday, on March 25th 2018, I have been an Apache Camel committer for 10 years. It was a very good first commit to add an unit test that tested a condition for invalid configuration in the camel-mina component. 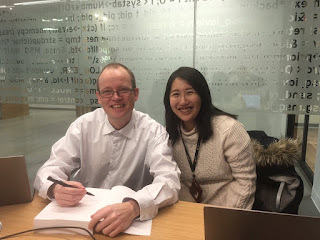 Disclaimer: I wrote this blog entry with the purpose of having a memory of this anniversary I can look back to in the future. In doing so there is a bit of summary and numbers of my contributions over the years. 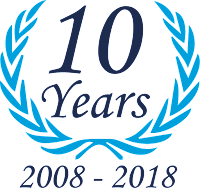 This blog is a short summary of solely my work and contributions to the Apache Camel project and related work over the last 10 years. The Apache Camel community is larger than one individual and this blog post is not an attempt to over-shadow all the hard work done by the many other individuals in the greater Camel community. 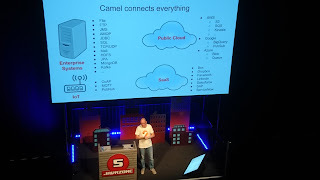 I got started with Apache Camel about 6 months earlier, in fall of 2007 where I and my team were look at various open source integration solutions. I have been working as full time committer since January 2009, so the earlier work was done in my spare time and as in my previous job. 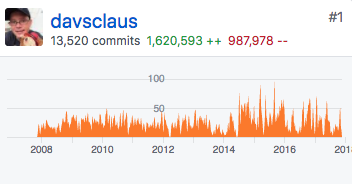 So we can basically see that indeed I have been full time on the Apache Camel project, and worked on the project year after year. I have also been very active in the Camel community and helped people on various forums such as the Apache Camel user mailing list, where I have sent countless emails. In fact Nabble has a record of me with more than 15347 mails. In more recent year StackOverFlow has also become popular to use for getting help and ask questions around Apache Camel. I have 1619 answers, and build up a reputation at 42322 at StackOverFlow but they are included on other projects, so maybe its 1500 or so that is about Apache Camel. I have also done 336 blog posts and 95+% of those are related to Apache Camel. And also in those 10 years I co-authored two books on Apache Camel, and 2 reference cards, and have done countless public talks at conferences, Red Hat events, webinars, and privately at customer engagements. A couple of years I started the Camel IDEA plugin project, to make Camel tooling awesome on IDEA. This project is now on the roadmap to evolve to include similar functionality into other editors such as Eclipse. 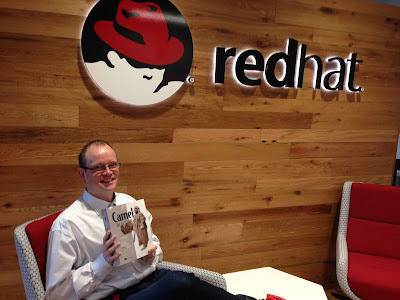 At Red Hat I have also enjoyed working on other projects that was related to Apache Camel, such as fabric8, hawtio, Vert.X Camel adapter, and the Fuse IDE editor. And Camel is included in ActiveMQ so I also spent time working on this project. I also spend time to make Camel work great with containers such as Kubernetes, and that Camel works awesome with Spring Boot etc. So what I am saying is that maintaining an open source project is a lot of work - even if its your day time job. If you have a passion and goes the extra miles then you spend a lot more time on the project than a regular 8-4pm job. 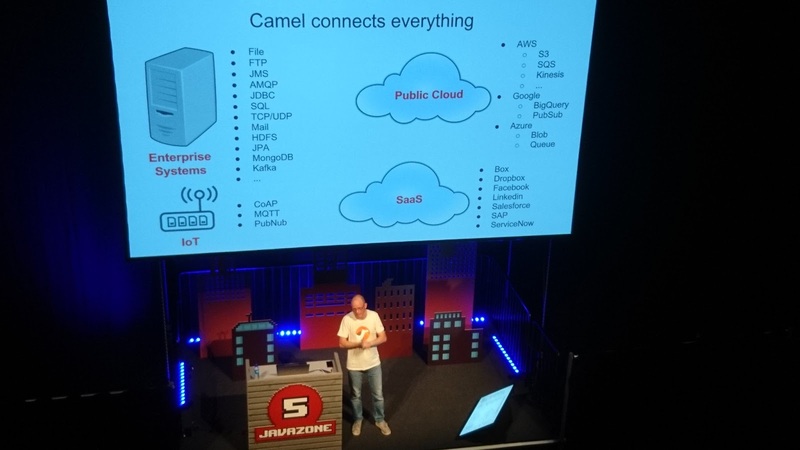 Last week I presented a DevNation Live session - Camel Riders in the Cloud. Apache Camel has fundamentally changed the way enterprise Java™ developers think about system-to-system integration by making enterprise integration patterns (EIP) a simple declaration in a lightweight application wrapped and delivered as a single JAR. In this session, we’ll show you how to bring the best practices from the enterprise integration world together with Linux® containers, running on top of Kubernetes / OpenShift, and deployed as microservices, which are both cloud-native and cloud-portable. The video of this talk has now been processed and uploaded to YouTube - enjoy. 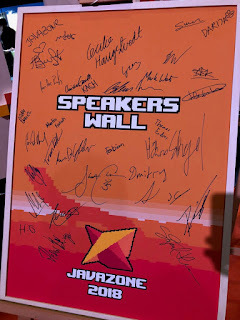 I would also encourage you to take a look at the other past sessions from DevNation Live. 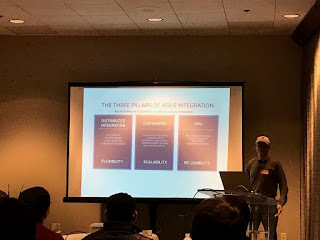 For example Burr Sutter's excellent session on Istio. We have just released Apache Camel 2.21 and I will in this blog highlight the noteworthy changes. 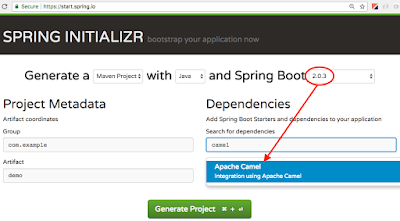 This release do NOT support Spring Boot 2.
which we plan to release before summer 2018. We have added better support for working with large messages in streaming mode in the JMS component. 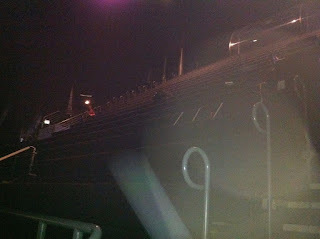 I have previously blogged about this. The FTP component can now resume downloads. For example if you download very big files, and have connectivity issues, then the FTP consumer will be able to resume the download upon re-connect. The FTP component has been improved to work better with the pollEnrich (Content Enricher EIP) to poll in a file on-demand. Now the current thread is used for this in a more synchronous task instead of starting the scheduled scheduler (which the regular consumer uses). The FTP component now reports more activity when it downloads, uploads, scan for files etc, which you can see in JMX and in the logs (you can set the logging level). This should help better to track how much has been download/uploaded of the files and what remains. The RabbitMQ component can now be configured on the component level where you can setup broker details, logins, etc so you do not have to repeat this in all the endpoint urls. This is similar to how you use the other messaging components such as JMS. The Camel SB actuators is now in read-only mode by default. The route actuator endpoints can have the read-only mode turned off, which allows to manage the lifecycle of the Camel routes. 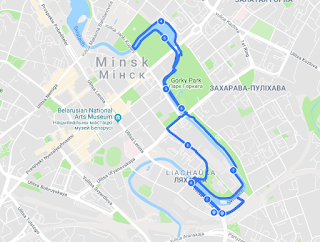 In addition more details can be retrieved such as a XML dump of the routes. The Rest DSL can now also include examples in the DSL which allows to generte the Swagger/OpenAPI doc with examples included. There is a new Claim Check EIP which makes it much easier to store information from the exchange during routing, and then retrieve that later (think it like a push/pop). You can find more detail in the EIP doc. There is a new Saga EIP for simulating transaction in distributed systems. The Saga EIP has plugins for different Saga services, that orchestrate the transactions. And as usual there are more components. For example there are 2 new AWS services for KMS and MQ. There is also our first component to integrate with crypto currencies. We have added support for running unit tests with route coverage reports turned on. This allows you to check if you have tests that coverage all paths of your routes. Camel tools such as the Camel IDEA plugin will work on adding support for presenting the report, and have indicators in the source code about the coverage (eg like you have for Java code coverage). The Camel Maven Plugin has a goal to output the route coverage. When using advice-with we now log the before vs after routes in XML to make it easier to developers to see what their advices have changed in the routes. There are a bunch of other smaller improvements and other things I have left out, forgot about. You can find more details in the Camel 2.21 release notes. 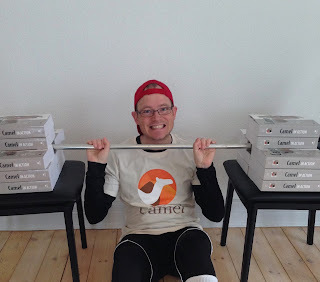 I am busy with fitness training to get into shape for a number of upcoming Camel talks I am doing the next 3 to 4 months. I would like to give a big thank you to Andrea Cosentino and Zoran Regvart for designing and creating these new awesome Apache Camel t-shirts. After the heavy training I went up for running in the cold and snowy weather here in Denmark. On next Thursday March 8th I am attending the Danish OS2 meeting in Ballerup, Copenhagen, Denmark. Another Red Hat'er was supposed to give a talk at this event but he had to cancel, and we are not so many danish employees so they contacted me if I could go. So the audience have to endure my technical talk about Apache Camel microservices on Kubernetes. 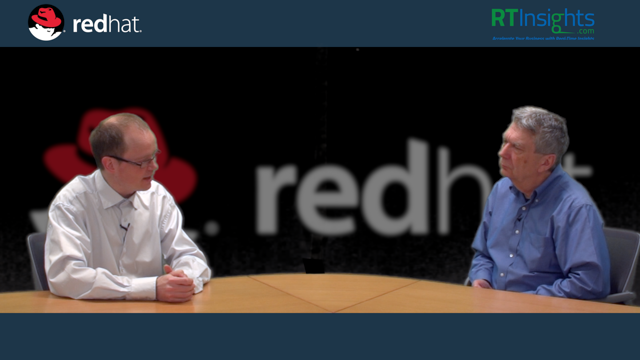 On Thursday March 15th I am doing a webinar hosted by Burr Sutter from Red Hat. The topic is Camel riders in the cloud. Apache Camel has fundamentally changed the way enterprise Java™ developers think about system-to-system integration by making enterprise integration patterns (EIP) a simple declaration in a lightweight application wrapped and delivered as a single JAR. In this session, we’ll show you how to bring the best practices from the enterprise integration world together with Linux containers, running on top of Kubernetes/OpenShift, and deployed as microservices, which are both cloud-native and cloud-portable. 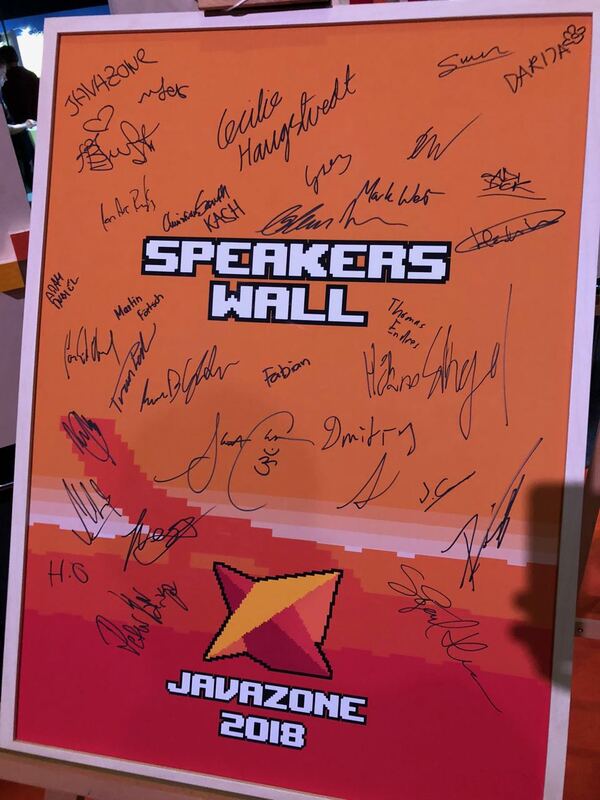 The webinar is free to attend and you can register form the DevNation website. 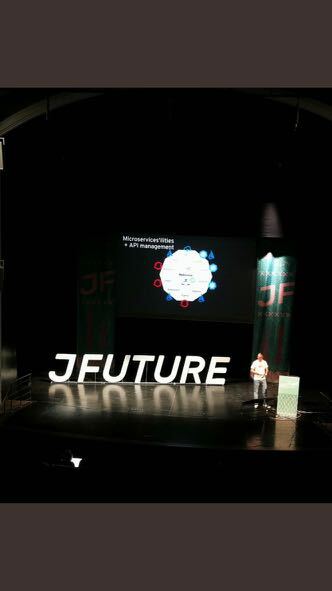 In the beginning of April I am traveling for my first time to Russia, Moscow to attend the JPoint conference and give a talk about developing Camel microservices on Kubernetes. I will take Mr Camel with me as he don't want to miss the opportunity to drink the great Russian Vodka. And hopefully we'll have Red Hat to sponsor a number of books so we can have giveaways or a book signing. 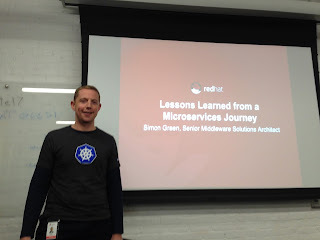 I will then go to San Francisco in the beginning of May to attend and speak at the Red Hat Summit. 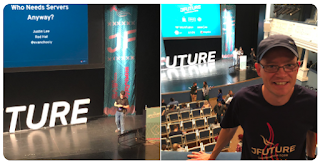 I will give a Camel talk and then we are doing two workshops, one about Camel development with APIs and another about the new Fuse Online product (low-code integration platform). At the end of May I will be at the gr8conf in Copenhagen, where I will give a Camel talk to the Groovy crowd. And that is not all, the Fuse team is likely going to have a face to face meeting sometime in June so I have to let my calendar be open for that. But hopefully it will fall in place so I have time to submit a paper for the awesome conference in Barcelona. 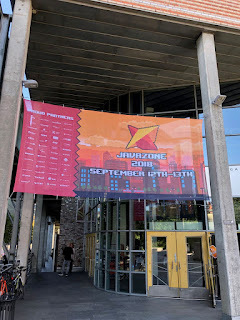 Unfortunately the JDK.IO conference in Copenhagen clashes at the same time, so I cannot be in two places at once. But lets see, maybe they are tired of hearing about Camel's. After all I have been 3 or 4 times at the Barcelona conference. And I am going to Hamburg in end of April for my first marathon run. 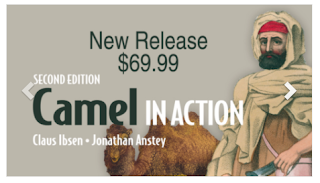 I will travel down there on Friday, so hopefully I can catch up with Bennet Schulz whom works on the Camel IDEA plugin. The run is on Sunday. 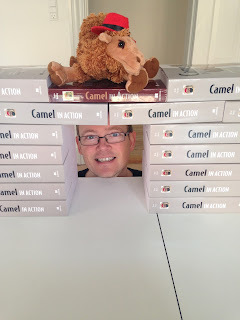 Today I received my author copies of the new Camel in Action 2nd edition book. There were 3 boxes, with 10x, 10x and 5x pieces. They weigh in total 83 lbs (38 kg), so its heavy stuff. I had grabbed one book from my latest Boston travel so I have 26 books in total, and one left from the 1st edition. I then stacked all the books which goes far up and I was more carefully position the last books to not trip down the stack. 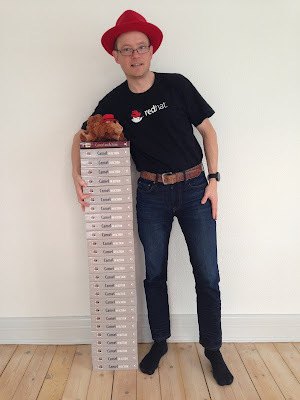 To dress up for the photo-shoots I dressed up with my red fedora and t-shirt from Red Hat whom has been supportive off work along the way - thank you big red, without your to pay for my coffee and internet, there wouldn't be a 900 page book on Apache Camel. And then we played spelling bee. Lastly we built a Camel wall. And Mr Camel was thrilled to be on top of the wall. 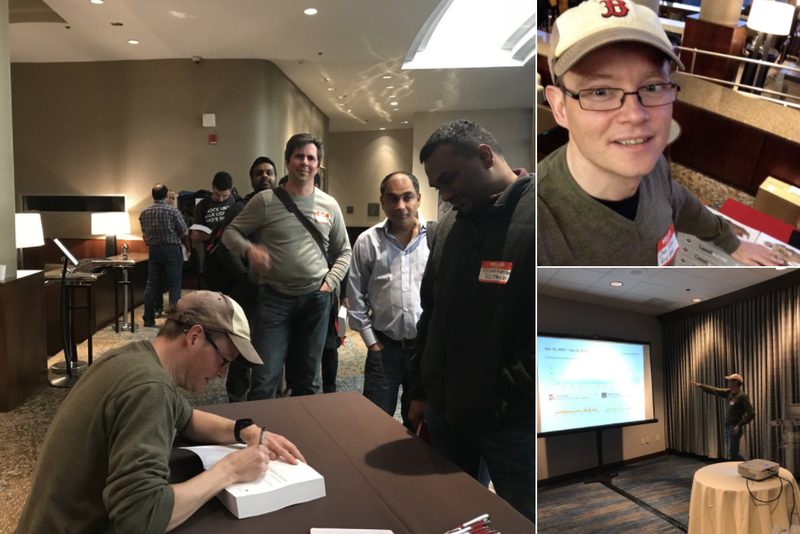 I have been on a week long visit in Boston where I have been spreading the good word about Apache Camel. On Monday we had an analyst doing interviews with various thought leaders in various spaces. 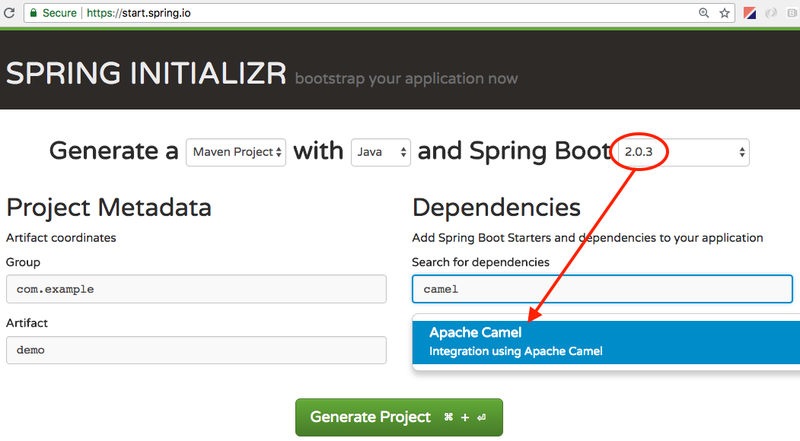 I was of course there about integration and Apache Camel. These interviews are still being processed but I am looking forward to see the results later when its ready. 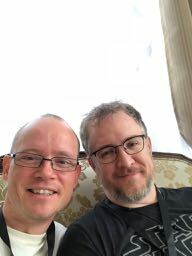 It was fun to be interviewed in a professional setup, and I have to say a big thank you to Adrian Bowles from RTInsights whom made this process much relaxed and in a light atmosphere so it felt like a conversation we could have had in a bar --- the only nit pick is that we didn't have the beers. My trip to Boston happened incidentally at the same time as Jon's and my new book was published and the print books are being distributed. 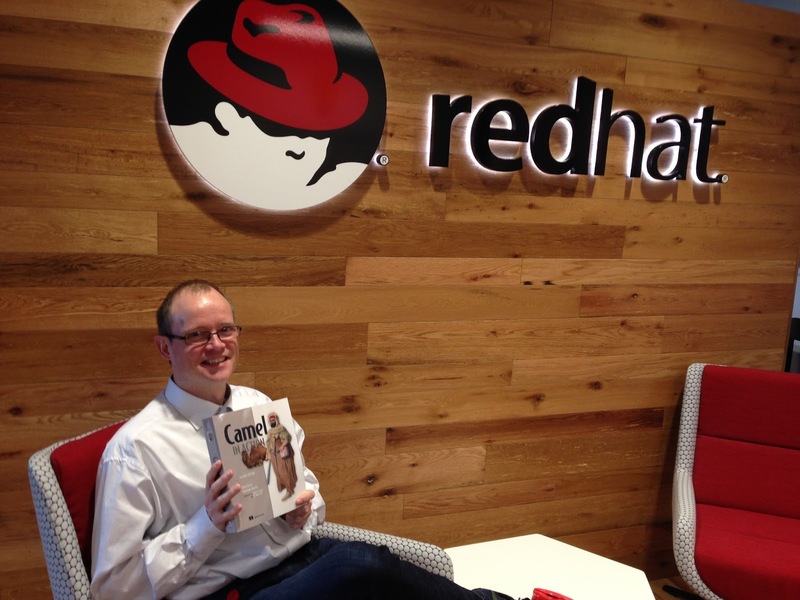 So Red Hat had about 40 books sent to the Boston office and I was able to hold a copy of the book in my hands. 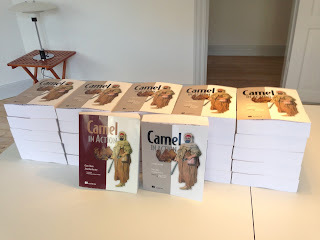 A number of copies of the book was handed out to friends of the Camel, and Christina Lin was the lucky first one to have the book and have it signed as well. She says that she can sell it on e-bay in the future to earn a big chunk of cash. The next couple of days I visited customers, and also had time to walk the city of Boston. On Thursday we hosted a Camel event a bit outside Boston where I gave a talk about Agile Integration and a more hands-on talk/demo on developing Camel microservices on containers (Kubernetes). 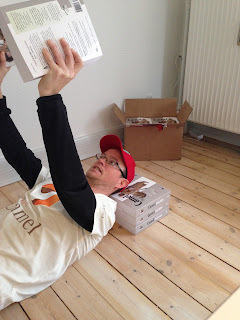 At the event we handed out the remainder 30+ books and as we had a full booking we ran out of books. Red Hat had taken their names and will order more copies so they can get the book later. After the talk we had some food, beers and drinks and people queued up to have their books signed. Today its Friday and I am now sitting in the airport and writing this blog. In the after-noon I walked from my hotel to the independent fort which was a 3 mile walk each way, so it was a longer walk. And when I got to the fort it was closed, but it didn't matter as much - it was more the long walk I needed after a week without any running.